First aid benefits everyone. It can treat everything from a sprained ankle to a cardiac emergency. 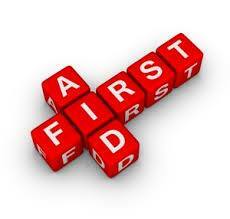 A little first aid know-how can have a big impact! A QQI (previously Fetac) Accredited Occupational First Aid Course will take place here in the Enterprise Centre in Tallow. The course runs for 3 full days on Sat 26th Sept, Sat 10th Oct & Sat 17th Oct. It starts at 9am until 5pm each day with breaks in between. Please note you must attend the 3 full days to receive your certificate! The cost of the course is €230 per person. For any further details or to book your place, please contact Helen or Theresa on 058 56445.